OK, we have the website. What now? The website is a must, but if clients can't find us, it doesn't mean much. If we are not in the search results - how will clients find us (and who will they find instead)? Usually clients do not know our domain name. It is even worse: people do not type the domain address in the address bar, but in the search query. Or even worse: they get used to this way of searching (they remember that more than your domain name!) - just observe your friends and how they are surfing the internet - you can be surprised! A website is like a leaflet or a catalogue in your drawer. Sometimes someone can find it. Maybe google's algorithms can rank it, to some XY page of search results. Then you receive a call of somebody "... who will optimize your website and bring it closer to the first page for only $$$...". Is this really the solution and will it increase traffic on the website, our sales, the turnover? What can you do by your self? Something can be (must be) done for sure. You can regularly work on optimization. Internal and external optimization, to be specific. You can also invest in advertising, etc. (but this is not the topic here). Finally, in the past, we spent money for sending leaflets and catalogs, now we do it in electronic form (which is more convenient and cheaper). We would like to tell people how great our products and services are. We need to reach them. What can you do and how can you optimize your website by your self? Internal optimization means that your website is adopted for search engines like Google, YouTube, Bing, Yahoo, etc. Search engines are 'reading' and indexing the whole world wide web (yes, whole) quite often (even once a week). They rank websites 3-4 times per year (google actually does not do that any more). More and more they try to do an organic search and are trying to understand what people are searching for to present the best results. This is the so-called artificial intelligence (AI) of the search algorithms and ranking results. How they do it (how they evaluate/rank)? The text on your website (text in headers, H1, H2, text in titles, bold text, description, etc). 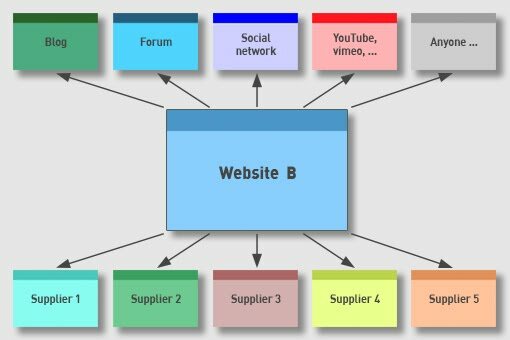 The structure of the website (menu, sub-menu, ...). The name of your domain, sub-domain, also the top domain. The quality of the content - google wants to give the most relevant results (AI is more and more important). ... - 200. There are many factors (approx. 200). The content is surely the most important. The website has to help your visitor/client. Google is trying to understand the content (and it is less focused on ranking, which was common in mid-2016). All of that (and much more) 'tells' its algorithm the relevance of your website for the search string. Pages with better search results are simply higher in the first place. Be sure that 1 - 6. are done, as much as possible. If you are editing the website alone you can do it. Otherwise ask your webmaster to do it ASAP (they should do it by default!). The webmaster will need your data. Organic search is more and more important. Google it if you do not believe it. Than give attention to 7. You can't do everything anyway - it does not even make sense. But you can optimize a lot. Do it ASAP. External optimization is what is done outside of your website (not on your website, but on other websites). The diagrams below show two samples. It is not hard to figure out which of those websites will get bigger importance in search algorithms: A or B? Note: these two websites have the same content. Sample A (pic on the right) is showing a website many people are linking to. It looks more important to a search algorithm. A website optimized as such (with the same content!) is simply ranked higher in google and other search engines. - on blogs (google likes that). If those mentioned above are linking to your website. 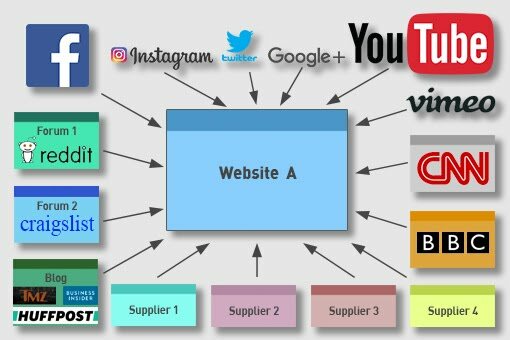 If there are videos about your products or services (with links to your website) - YouTube is 2nd biggest search engine in the world! If they are recommending you. Etc. There are about 200 parameters for internal and external optimization... (lets focus on the most important). ... all of these are very good for you. Helps very much! Have your video presentation (not one, but many - that is actually cheap now). Observe younger generations: they are looking into the smartphones and searching with them. That is the trend. Post your videos regularly, everywhere (YouTube, vimeo, social networks,...). take care that video descriptions has data and links to your website. In other words: more they talk about you, the more algorithms will evaluate that you have a more important result for a specific search and will rank or place you higher in the search results. The opposite: links from your website do not help you much (they even make it worse, sometimes), unfortunately. You will forget soon about CDs and DVDs. They are in use for more than 15 years. Who uses (burns) them anyway? The younger generation has grown up in a different time and environment and has different habits. Think a bit about the trend of present and future clients - younger generation. Prepare yourself! It helps. Sometimes a lot, sometimes less, depending on the activity, branch, buying habits of your clients. AdWords (and similar) is a great and cheap tool for good planned advertising. Before you use it, discover which words (or word strings) people are using to find (describe) your products/services. Than use these in your advertising in Google AdWords, on YouTube, on Bing, etc. There are many tools on the net that can help you find these. Google can help you too. Funneling <--- veeeery important! Can you afford to ignore advertising on the internet, with the videos and smartphones? In the past, we were using leaflets and catalogues, which wasn't cheap by the way! The methods are now on the internet, that is all. They are cheaper, especially in the long run (with a few well thought moves). The world is changing, so we have to if we want to reach out and if we want to exist. If this optimization is too big thing to swallow, do it step-by-step. Hint: I can help you. In the mean time you can do your business. Imagine what would be a fair deal for you and for me.